Do you ever come home from vacation feeling like you need another vacation to recoup from all the excitement? It happens to us a lot! But last month was an exception when we were invited to Jekyll Island for a special weekend celebrating the past, present, and future of the island. We had such a relaxing weekend, and even though it was full of activities, we still had lots of time to relax and explore the island on our own. The purpose for our visit was to attend the re-dedication of Jekyll Island. And after a decade-long revitalization process, there was a lot to celebrate! We stayed at the Jekyll Island Club Hotel, the same place where we celebrated our anniversary this spring. 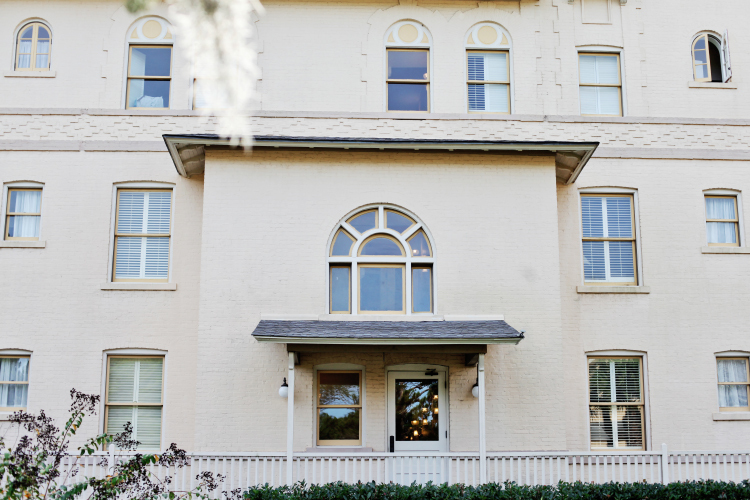 The property has quickly become one of our favorite hotels. Our family operates at a pretty hurried pace most of the time, so it’s a total treat to stay in a place with such a relaxing vibe. -Having “tea time” on the porch of Indian Mound Cottage, a gorgeous home that was once the Rockefeller family’s summer house. Leading up to the trip, Kingston was so excited about high tea, even though he had no idea what it was! After tea we got to tour the beautiful house, play lawn games, and go for a ride in a vintage red bug car. -Driftwood Beach. This hidden strip of beach is located on the north end of the island and is sometimes described as a tree graveyard. This is definitely a “do not miss” spot if you visit Jekyll. The pictures don’t even do it justice! 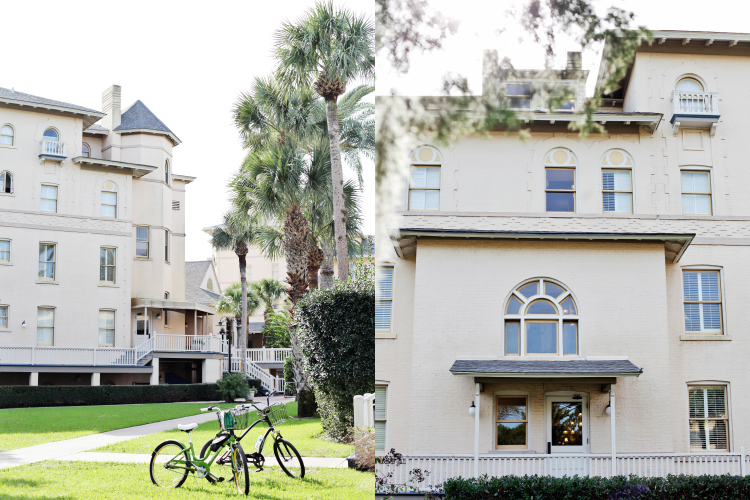 -Renting a tandem bike and riding all over the Jekyll Island Club property. There are trails all over the island, so you can choose to bike along the ocean or through the tree-lined paths covered with Spanish moss. -Date Night with Mr. Almeida that included a pig roast at the ruins of Horton House, the oldest home on the island. We were greeted by General Oglethorpe and friends in period costume, had an amazing dinner, and listened to some fun live music! -While we were at the pig roast, Kingston got to do a fun “after hours” kid’s program at the Georgia Sea Turtle Center. -Dancing the night away to a live jazz band at a beach-side party. We loved them!!! We’re already talking about our next trip! And if you’ve been wanting to check out the island, January might be the perfect opportunity for a visit. 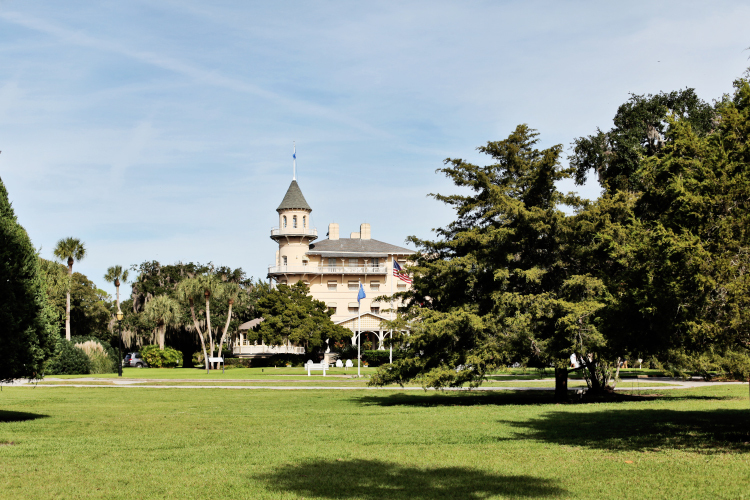 The Jekyll Island Club is celebrating their 129th anniversary with rooms for $129 per night through January 31st!